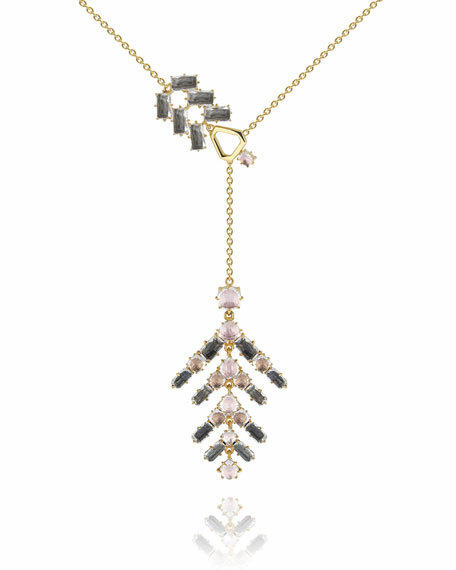 Caterina branch lariat necklace by Larkspur & Hawk. 18-karat yellow gold-washed sterling silver. Prong-set white quartz with multihued foils. For in-store inquiries, use sku #2606048.